Outstanding in her community as a devoted advocate for financial education and guidance for women; she is a registered representative and partner at Johnson Insurance and Financial. Some of her professional awards are: Million Dollar Round Table award*, voted a top Business Woman and Best Insurance agent by her local Chamber of Commerce. Additionally, she received a “Women Who Serve” award by Love Life Foundation. Sheila is the cofounder of a scholarship foundation benefiting the children of the police and firefighters in her hometown. 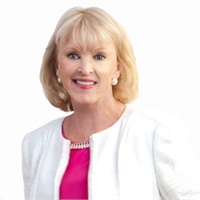 She has served on various boards in her community such as the McKinney Economic Development Board, McKinney Chamber of Commerce Women’s Alliance Advisory Committee and Stonebridge Ladies Assn. *Qualifying membership in the MDRT is based on minimum sales production requirements and gross business generated within a year. Each MDRT status designation is granted for one year only. All members must apply every year to continue their affiliation with the Million Dollar Round Table. Third-party rankings and recognitions are no guarantee of future investment success and do not ensure that a client or prospective client will experience a higher level of performance or results. These ratings should not be construed as an endorsement of the advisor by any client nor are they representative of any one client’s evaluation.